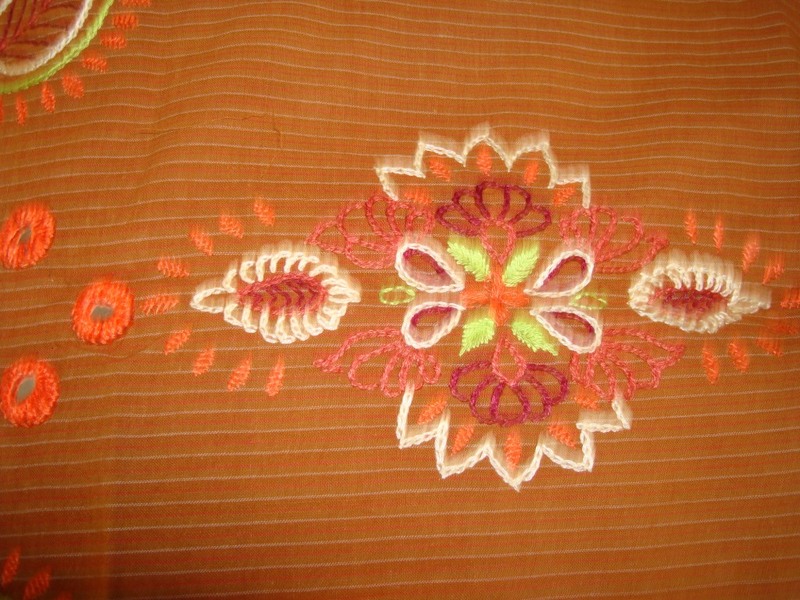 The pattern and embroidery in this piece was done after the tunic was sewn. 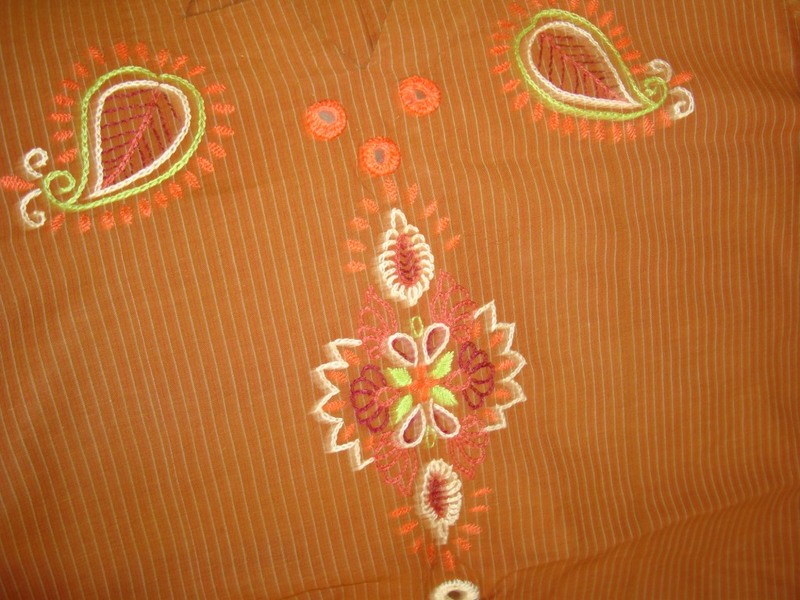 The fabric is handloom cotton in golden brown with yellow stripes. 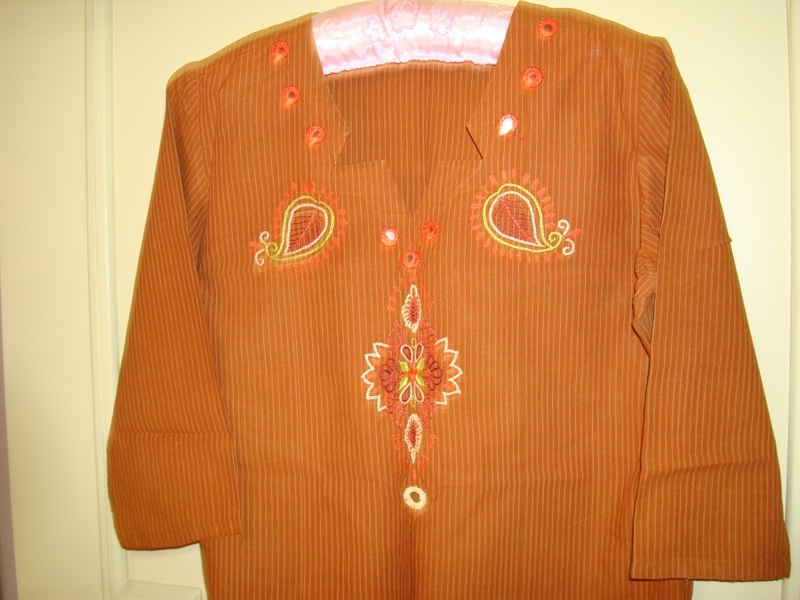 After this I had a pattern and embroidery block- I couldn’t think of any pattern I wanted to do, and also no inspiration for any type of embroidery, it was not because of the tunic,it was just me. The anchor cotton skein in two strands ,colours-cream, dark red, orange, light green. Some geometrical shaped pattern can also be done easily by marking with pencil. But all that I had was a block. These things happen for a reason, even though I don’t know the reason.